Last week, students and faculty at Georgetown University Law Center held an event entitled, Threat Multiplier: Exploring the National Security Law and Policy Implications of Climate Change. The audience heard from a number of important members of the climate and security community. Notably, each of them mentioned Hampton Roads as a region that will present challenges and opportunities for United States national security and military readiness. 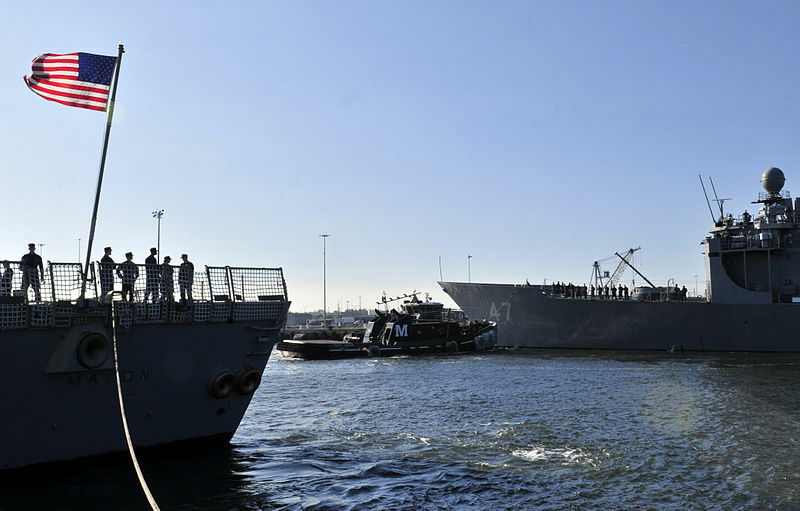 The Norfolk/Hampton Roads region is home to 29 military sites, and is an area where sea level rise is increasing at twice the global average, noted Judge Alice Hill of the National Security Council Staff. “All it takes is a rainstorm and a big tide for flooding to occur [in the region],” said Judge Hill. With nearly 300 miles of roads in the region vulnerable to flooding, and thousands of servicemembers living off base, essential personnel will be unable to get to their posts if roads are impassable. “We have climate effects that we have to deal with. They cost us money, they cost us mission… it is in our interest, and frankly, in our nature to deal with it,” said John Conger, Acting Assistant Secretary of Defense for Energy, Installations, and Environment. At a recent Senate Armed Services Committee hearing, Mr. Conger was asked by Senator Tim Kaine (D-VA) about the efforts taking place to address sea level rise in Hampton Roads. Senator Kaine lauded the whole-of-government approach, incorporating federal and military officials, local planning commissions, and a range of other local leaders collaborating to prepare the region for the effects of sea level rise. From these recent examples, we can be sure that officials in Washington- from Congress to the Pentagon to the White House- believe in the importance of the work happening in Hampton Roads. That’s because, as Judge Hill pointed out, the impending challenges facing the region are massive, and because many other regions will soon face similar circumstances. By Caitlin Werrell and Francesco Femia in climate and security, national security, United States on March 27, 2015 .